SCREENED EVENT: Please join the waitlist. Attendees will be selected based on skill proficiency and experience shown on MAA profile. Those registered will be notified. Thank you! Come climb Mt. Dana and North Peak via their respective couloirs. This is a semi-technical ascent of two Tioga Pass peaks and a good introduction to technical alpine climbing. 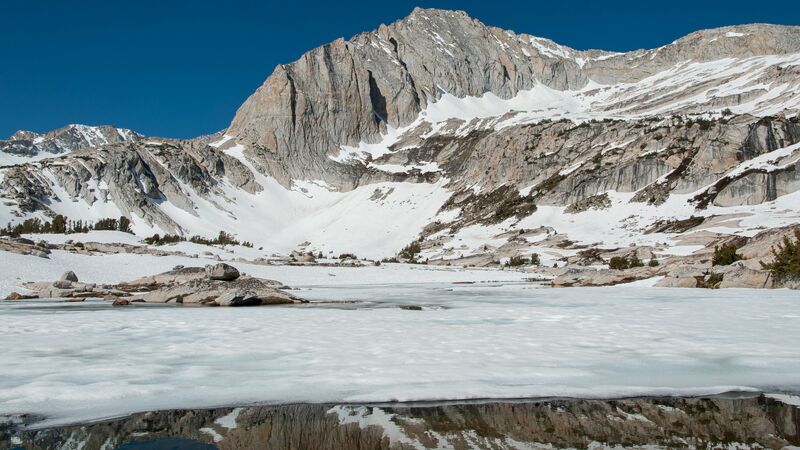 Tioga Pass lies at nearly 10,000 feet and climbing both of these mountains will require a moderate degree of fitness and prior experience with multi-pitch climbing and basic snow and ice travel. Loaner gear is available to paid members. Maximum two climbers, recommended for those with SNOW 4, ICE 1, RCK 2 or equivalent experience. WHERE: Tioga Pass, east side of Yosemite National Park. ROUTE: Mt. Dana via Dana Couloir (https://www.summitpost.org/dana-couloir/155574) and North Peak via North Peak Couloir (https://www.mountainproject.com/route/106637286/north-face-north-couloir-right-couloir). MINIMUM AND MAXIMUM GROUP SIZE: 2 and 3 respectively. CLIMBING SKILLS REQUIREMENTS: In order to be best prepared to climb safely and effectively, participants should be able to hike 5 miles at altitude with 30 pound pack, ascend to 13,000 feet and feel comfortable with multi pitch climbing on ice. PERSONAL GEAR: Members are encouraged to use your own equipment. If you're missing something, loaner gear may be available. Please let the event leader know if you need something. MEDICAL: If you have any medical conditions pertinent to your participation on this event, please inform the event leaders after you’ve been accepted on the team. GETTING THERE: Meet at 1pm at Tioga Pass Resort (currently closed) parking lot on October 2nd. EMERGENCIES: 911, closest hospital is Mammoth Hospital in Mammoth Lakes, CA. Day 1: Tuesday October 2nd, 1PM. Meet in the Tioga Pass Resort parking lot then go for short hike to help acclimate and will go over plans for climb and sort gear. Camp near Lee Vining. Day 2: Wednesday October 3rd. Up early for drive to trailhead at Tioga Pass (9,943). Hike to base of climb (about 3 hours), rope up and climb Dana Couloir, summit Mt. Dana (13,061) descend via Standard Route, camp near Lee Vining. Day 3: Thursday October 4th. Another early start, drive to Saddle Bag Lake and hike in to North Peak base of climb, cross bergschrund and ascend via North Peak Couloir. Optional summit of North Peak (summit is 12,247 and couloir ends some 600 feet short of summit) descend past Conness Lake and back to car. Camp overnight or drive home that evening. Event leaders are board-approved volunteers, not certified guides. Non-commercial wilderness, camping and /or backcountry permits will be acquired within the posted group size limits for this area.